Oh the drudgery of finding a job. You’re over-educated, over-qualified and insanely talented. And yet, you’re not getting the call-backs and response you deserve. Well, guess what? We’re living in a different job-seeking world, people. Employers are looking for those who can stand out amongst the thousands of applicants. That means utilizing the tools that are revolutionizing the way we communicate. Boston-based Gozaik is the social resume that’s harnessing the power of Twitter’s 200 million users to create a unique, multimedia resume so job-seekers can connect to employers. To put it in fancy terms, it’s a platform providing talent acquisition solutions that utilize the power of social media. And it makes sense. Think about all the time you spend perfecting your respective online profiles. In most cases, this is where your talents are truly showcased anyway. So, Gozaik decided that there’s got to be a more efficient way to connect top talent with job opportunities through social media. 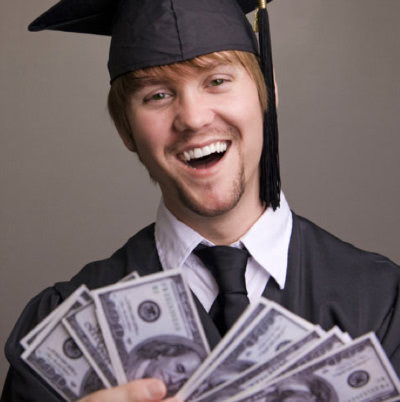 Recent Grads and Young Adults – So you’ve just graduated college, and the world is your oyster. Well, not really. The fact is, there are millions of recent grads and young adults that are equally as special as you think you are and they’re all vying for your dream job. Gozaik takes your Twitter and social media obsession and turns it into a career opportunity by displaying your personality in a more engaging and unique way. Employers – With all these talented people looking for jobs, surely it’s easy to find the best people to hire. Wrong. Traditional methods of hiring leaves employers with hundreds of drab resumes and talented people falling through the cracks. 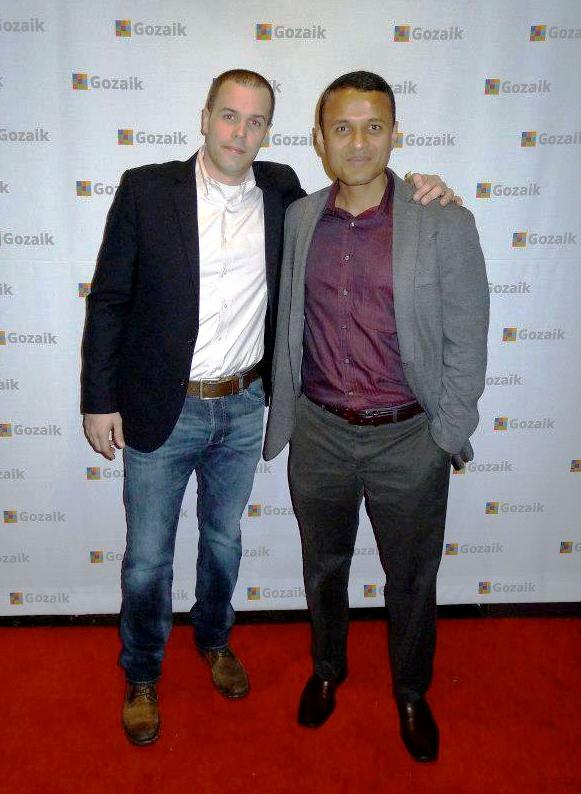 Gozaik is a tool to help employers find awesome talent in a more contemporary and efficient way. Universities – Universities can help their recent grads land jobs and keep track of the success of their alum with Gozaik. To create the most effective Gozaik profile, job seekers can make a video with a personal intro to employer, list all your education, experience and skills, add images, choose the desired location to work and connect your profile with your Twitter and Facebook accounts. 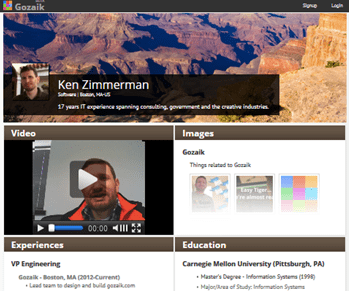 Once you’ve created the ultimate profile, Gozaik matches you with employers seeking top talent on Twitter. You express your interest, they view your profile, and… boom. Your dream job is just a tweet away. The site, founded by Venkat Janapareddy and Joe Budzienski, has recently launched in beta and has already gone global with interested users reaching as far as Europe. I can’t sit still, this gives me the challenge to burn some of my ADD energy! I want to make a difference. I want to be part of something special, something bigger than life. Being an entrepreneur is like skydiving every day, what a rush! The time it took for us to hire our people at our previous staffing firm. Jobs boards seemed so outdated and aggregators seem to push you through so many channels not to mention the GUI was very unpleasing. Are you currently working on or planning any other projects we should know about? Gozaik is our life. It takes up so much of our time. We need to fix one market at a time. For Joe and co-founder, Venkat, it’s all about changing the talent acquisition world right now. So far, they’re doing a pretty good job. Check out the site for yourself, and see how Gozaik can revolutionize your job-seeking and talent-finding experiences.